Herbal teas are made from an infusion of fresh or dried flowers, leaves, seeds, roots, or grains steeped in boiling water. Herbal teas are delicious, served hot or iced. Since herbal teas don’t usually contain leaves from the tea plant or Camellia sinensis, they technically aren’t “teas” but rather tisanes. But in America, we refer to them as herbal teas, so for simplicity’s sake, this book will too. Herbal teas have a long history of consumption for therapeutic purposes. Due to their perceived ability to treat medical maladies, dating back to Ancient Egypt and Ancient China. Think about it…before there were pharmacies and prescription pills, where did medicine come from? Many every day drugs stem from nature, like common aspirin. Before the invention of aspirin tablets, people drank willow bark tea to treat fever, pain, and inflammation. Willow bark contains salicylic acid. Chemists created aspirin tablets containing similar synthetic compounds. Penicillin, first discovered in fungal mold, was later valued for its natural antibiotic properties. The fragrant taste, antioxidant properties, and therapeutic applications all make herbal teas so popular. Teas made with dried berries, cinnamon, and lemon balm, smell as good as they taste. Lemon myrtle, oregano, and guava, all offer antioxidant benefits comparable to black teas. 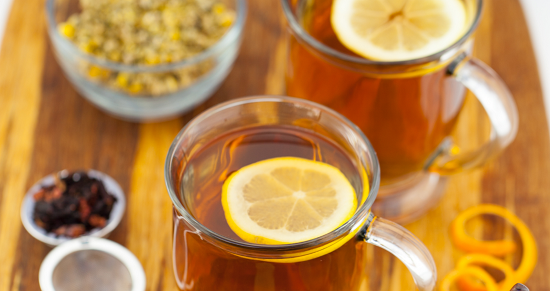 Herbal teas boast relief from low blood sugar to high cholesterol and everything in between. The medical benefits of herbal teas remains controversial. Meaning United States laws prohibit the producers of herbal teas from making unsubstantiated health claims. Use caution when consuming herbal teas for medicinal purposes. Some medicinal plants become toxic in larger amounts. When ingesting certain medicinal herbal teas, use caution. Limit quantities of herbal teas like comfrey and Lobelia. Comfrey contains liver damaging alkaloids. Lobelia contains toxins similar in effect to nicotine. Some herbs become deadly if consumed, like Foxglove and Deadly Nightshade. Several medicinal herbs fall under the category of abortifacients. Never consume these herbal teas if pregnant. They may cause miscarriage. This includes but is not limited to: nutmeg, mace, papaya, bitter melon, verbena, saffron, slippery elm. Herbs like licorice root elevate blood pressure, while kelp affects hyperthyroidism. Keep in mind because they come from a plant source, the ingredients in herbal teas may cause allergic reactions in some individuals. Always know the source of the ingredients used in homemade herbal tea blends. Like any crop, the flowers, leaves, seeds, roots, or grains used in herbal tea blends carry the risk of being contaminated with pesticides and heavy metals. Chose organic ingredients. Herbal tea companies offer a vast array of pre-packaged herbal tea blends online and in retail outlets. Natural food stores offer herbal tea blends in bulk, lowering their cost. But making your own herbal tea blends is easy, inexpensive, and fun. When making your own herbal tea blends, start with ingredients you recognize. Choose from fresh or dried herbs found in your pantry, garden, or natural foods store. Common herbal tea ingredients are also available online. Try unusual herbs in small quantities first, especially medicinal herbs, to make sure you like the taste. 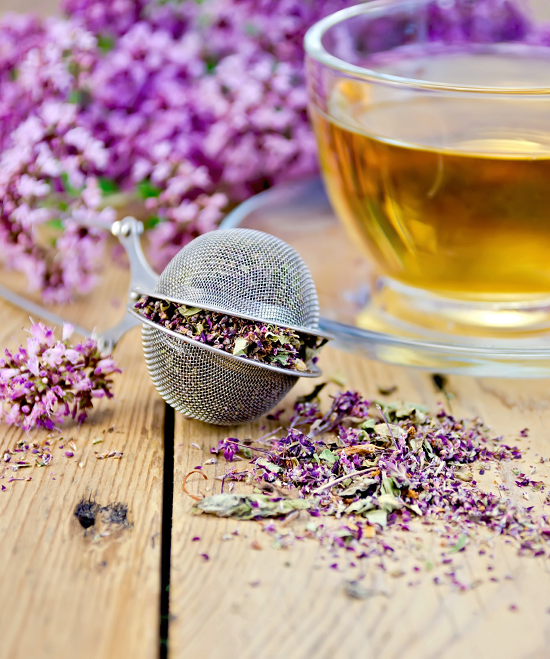 Keep in mind, medical effectiveness and claims of herbal teas, continues to be hotly debated. Whether herbal teas, infusions, or tinctures are a cure-all for everything or not, a few basic facts remain true when it comes to some common household herbs. Mint aides the digestion, rosemary eases aches and pains, thyme clears the sinuses, chamomile makes you sleepy, and Echinacea is a potent, natural antibiotic. CAUTION: check with your health practitioner before consuming herbal teas. Certain herbs may cause adverse side effects like allergic reactions. Some herbs may interfere with prescription medications. 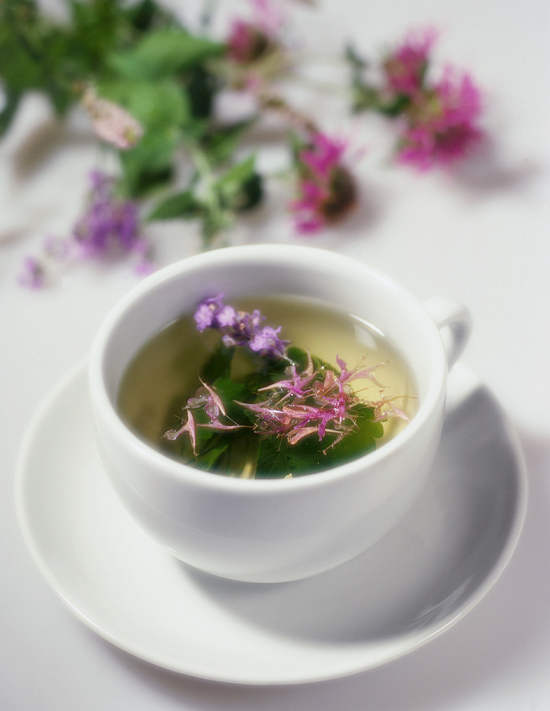 Always discuss the use of herbal teas with your primary health care practitioner or physician, before consuming. DO NOT consume herbs or herbal teas if pregnant or breast feeding without consulting your primary health care practitioner or physician first. None of the statements in this article have been evaluated by the Food and Drug Administration. Herbal tea recipes and herbal teas are not intended to diagnose, treat, cure or prevent any disease and are listed for entertainment purposes only. It’s 0 calories, it’s cheap, it’s readily available. it’s probably in your pantry and it’s one of the best super foods on the planet. How about a super food that’s inexpensive, contains no calories, is associated with relaxation and pleasure, tastes good, and is available just about anywhere…from the finest restaurants to the local diner? It’s antioxidant rich tea! Ordinary teas contain antioxidants, but some teas are super charged. Drink one or more of the following teas daily for an added health boost! Rooibos (roo-ee-bosh) tea comes for the South African red bush, Aspalathus linearis. 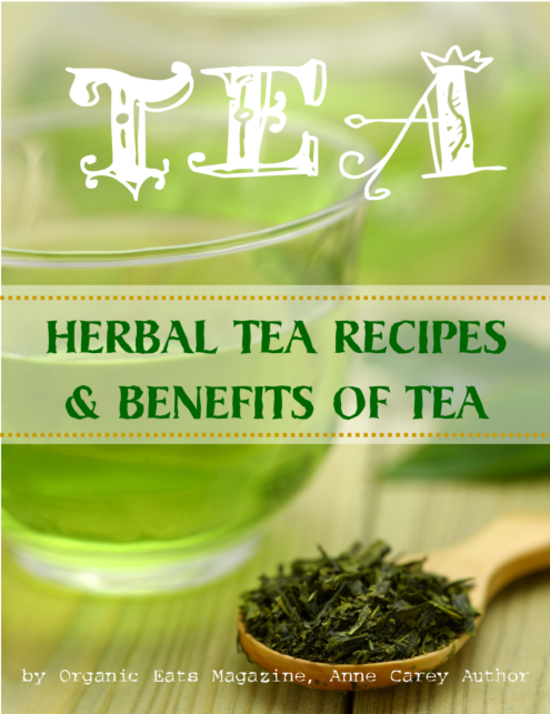 It offers many of the benefits of traditional green tea, plus a few of its own. It is naturally caffeine-free, super-packed with antioxidants, plus it tastes delicious! Low in tannins, it is never bitter and naturally sweet. Look for red bush tea or red rooibos, in its green state before oxidation, to get all of its health benefits intact. Rooibos is traditionally harvested, then the leaves are bruised with a hammer, fermented, and dried. The resulting tea is mellow in taste and resembles Lipton tea without the caffeine, making it kid-friendly. And also, a great base, for using in your herbal tea mixes. Best known for its antispasmodic effect on the digestive tract, it has a long history of soothing colicky infants. Rooibos possesses antimutagenic, anticarcinogenic, anti-inflammatory, anti-allergic and antiviral properties. Especially rich in the super-antioxidant quercetin, it promotes good cardiovascular health, helps ward off cancer, and aids in the fight against viruses. It also contains two relatively rare antioxidants, aspalathin and nothofagin. Aspalathin reduces adrenaline output so it acts as a stress reducer on the system and also helps regulate blood sugar. Nothofagin provides anti-inflammatory benefits. Both aspalathin and nothofagin, appear to protect the nerves, therefor rooibos is calming. Serve it iced! It makes a great alternative to ordinary, caffeinated iced tea. White tea, green tea, and black tea, all originate from the leaves and bud so the Camellia Sinensis plant. White tea is crafted from tender young leaves and buds of the traditional tea plant and is less processed. Therefore, white tea is milder, lower in caffeine, and retains more of the beneficial antioxidants and polyphenols that Camellia Sinesis has to offer. Most especially, white tea contains greater amounts of the high-powered antioxidant catechin. Catechins help ward off cancer and dilate blood vessels to lower blood pressure and reduce cholesterol. In addition to being tasty and refreshing, pu-erh (pū-ĕr) tea, is an ancient healing tea consumed for thousands of years, and picked from 500 year old organic wild tea trees in Yunnan, China. Pu’er tea is antioxidant rich. Antioxidants inhibit cell oxidation, which causes damage at the cellular level. Reducing cell oxidation helps prevent cell mutation. Therefore, it aids in preventing cancer. Pu’er tea also helps lower cholesterol. NOTE: none of the statements in this article have been evaluated by the Food and Drug Administration. The above teas are not intended to diagnose, treat, cure, or prevent any disease and are listed for entertainment purposes only.